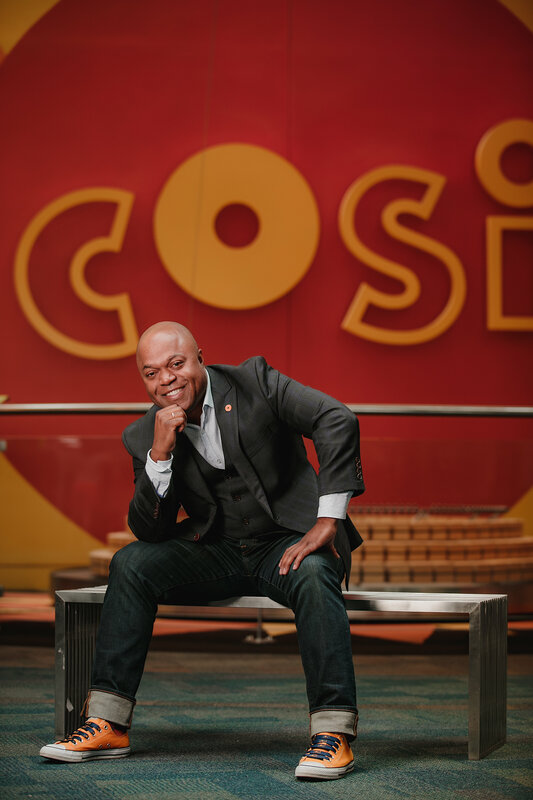 As President and CEO for the Center of Science and Industry (COSI), Frederic Bertley is shepherding COSI, the leading Central Ohio science center, to its next great iteration in a legacy of success. Prior to COSI, Dr. Bertley was the SVP for Science and Education at The Franklin Institute, where he oversaw a diverse portfolio of initiatives supporting innovation in STEM learning regionally, nationally and internationally. He also directed the storied 200 year-old Benjamin Franklin Awards Program. After graduating from McGill University where he studied Physiology, Mathematics and earned a Ph.D. in Immunology, Dr. Bertley worked in preventative medicine and vaccines in Haiti, The Sudan, and the Canadian Arctic. He then joined a research group at Harvard Medical School focusing on the development of DNA vaccines for HIV/AIDS and later worked in IP at WilmerHale. Dr. Bertley has been a speaker at several distinguished institutions including The UN, The White House, and the National Academy of Sciences. He has received numerous honors including: Dell’s Inspire 100 World Changers, Harvard Medical School Dean’s Service Award, the George Washington Carver Award, a citation from the Commonwealth of Pennsylvania, and is a two time Mid-Atlantic EMMYTM winner. He received an Honorary Doctorate from Otterbein University. Bertley serves on numerous Boards in Columbus, Philadelphia and Montreal, Canada.